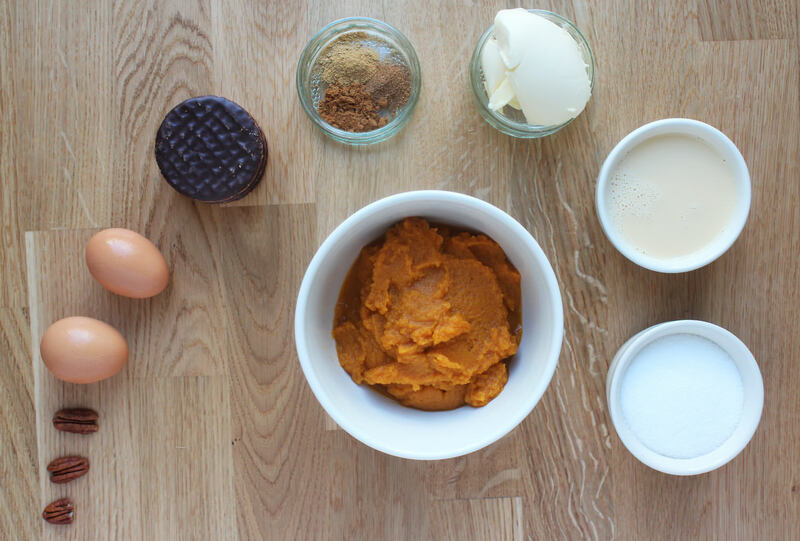 With an invitation to a Canadian Thanksgiving feast this weekend I started to crave pumpkin pie. I also live very near a Lakeland and happened to wander in and procure myself a little individual cake tin. Too much GBBO consumed by me I think. 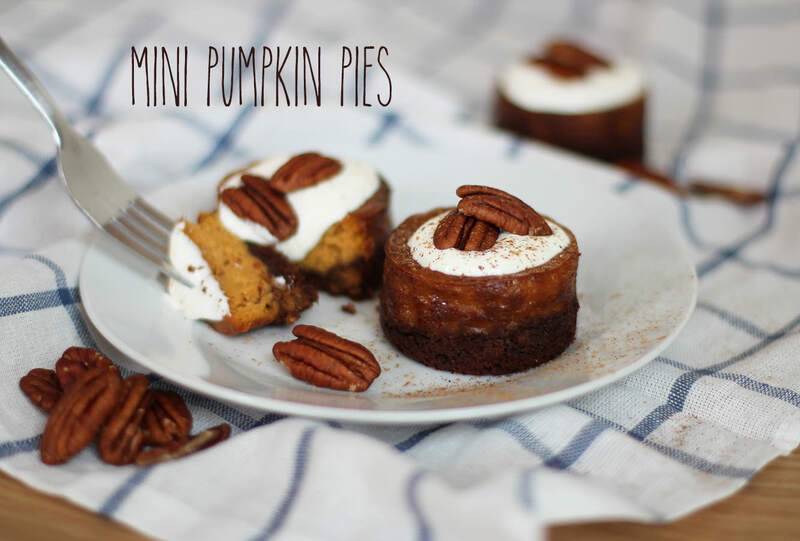 The result of these two happenings brings you mini pumpkin pies. If you don’t have a tin like mine (get one) then this recipe will work as a big pie in a cake tin or whatever you have to hand. These are super easy to make and totally DE-licious. I recommend them warm with a big dollop of sour cream. Combine all the filling ingredients until smooth (lightly beat the eggs with a fork first). Pour into a jug. Using the end of a rolling pin (or a food processor if you have one) crush the biscuits into a fine crumb. Heat the butter on a low setting in the microwave until just melted. 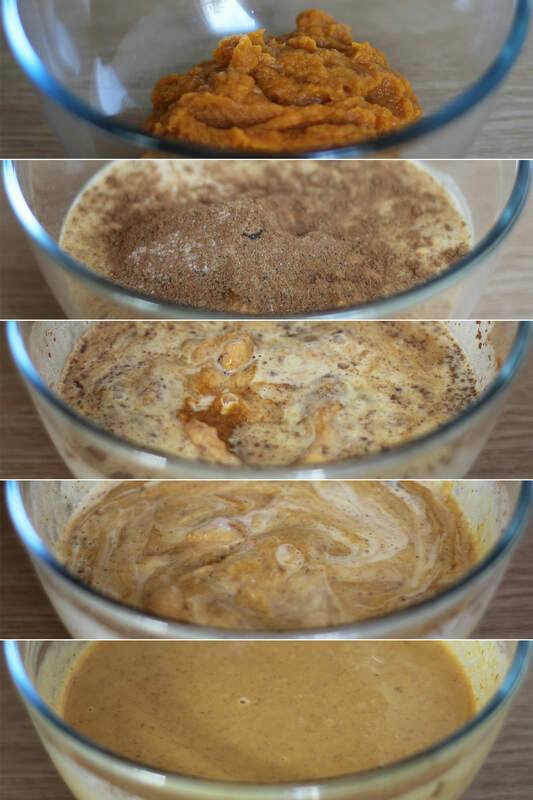 Stir into the crushed biscuits. Pop the loose bottoms in and lightly grease the tin. 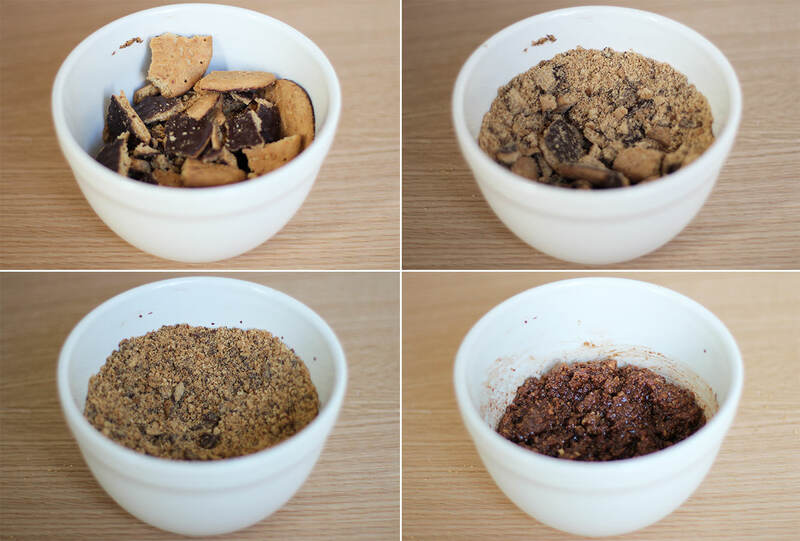 Place a dessert spoon of the biscuit mixture into into each basin and press down with the back of the spoon. 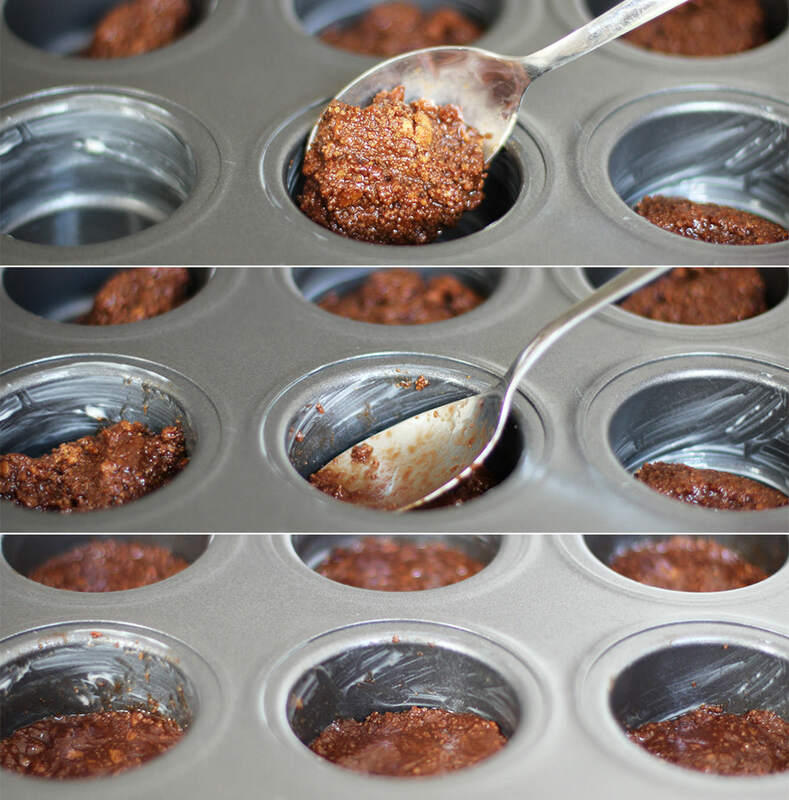 I guess you could give this a go with a muffin tin if you don’t have a loose bottomed one, let me know how it goes if you do! If you have time to stick this in the fridge then 30 mins will make sure your base stays firmly at the bottom. I didn’t do this and it turned out fine, just rose up a little at the sides, so don’t worry too much if you’re in a rush. Time for a gif? I thought so too. Pour the mixture to the top of each basin. Don’t worry about it overflowing, it only rises up a little bit and is quite solid so doesn’t spill. I had a bit of mix left over so I just poured it into a spare ramekin, you always need a little sample anyway. 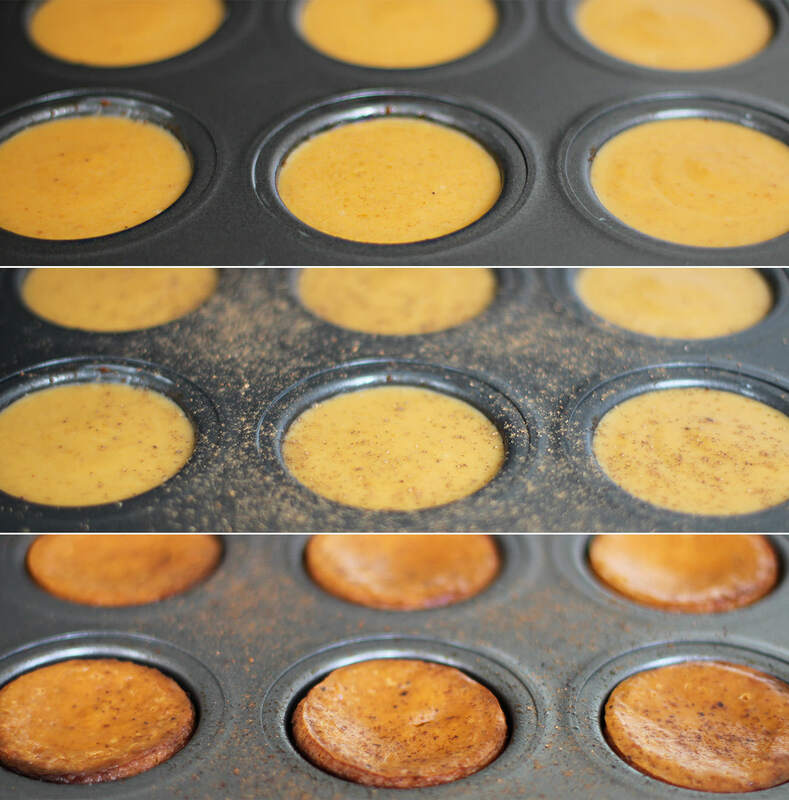 Sprinkle a little more ground nutmeg on. Bake on the middle shelf of the oven for 40 minutes on 180C/350F/gas mark 7. Leave to cool a bit before removing from the tin. They are really yummy warm, so either let them cool and whiz them in the microwave before serving or cook just before you want to eat them.